Why is the report praising PM Narendra Modi? The Government of India has yet again rubbished a US commission report, which puts it in the same bracket as countries like Afghanistan and Turkey when it comes to religious freedom. The government, since the days of the Congress-led UPA regime, has been touchy and reluctant to accept that minorities have been targets of violence and discrimination, and it has not done enough to curb these incidents. The US Commission on International Religious Freedom (USCIRF), in its latest yearly report, has castigated the BJP-led government for tacitly supporting Hindu groups, and using religiously divisive language to further inflame tensions. The USCIRF report says it will continue to monitor the situation closely, to ascertain if India should be designated as a 'Country of Particular Concern', which will then put it at par with countries like Myanmar, China and Pakistan, who have a pathetic record when it comes to protecting religious freedom. Commission members were denied visas to visit India a few months ago. Interestingly, the USCIRF report praises Prime Minister Narendra Modi, saying that his February 2015 statement, where for the first time he publicly stated that his government "will ensure that there is complete freedom of faith and that everyone has the undeniable right to retain or adopt the religion of his or her choice without coercion or undue influence", is notable. But for now, India continues to be a 'Tier-2' country, "defined as those where the violations engaged in or tolerated by the government are serious and are characterised by at least one of the elements of the 'systematic, ongoing, and egregious' CPC standard. Afghanistan, Turkey, Indonesia and Russia are among the 10 countries on this list. India has been on the Tier 2 list since 2009; only that this year, the report is particularly scathing. From the brutal lynching of Akhlaq Ahmed in Dadri to the several attacks on Christians across the country, the report is a sad reminder of the way minorities have been pushed into a corner. The report cites comments by members of the minority communities, who say these incidents have intensified in the last two years. The report touches upon the the issue of government scrapping the licences of 9,000 organisations for FCRA violations. It particularly mentions the case of US-based Ford Foundation, which has been put on a watch-list by the Home Ministry for 'abetting religious disharmony'. The foundation partially funded two NGOs, Sabrang Trust and CJP, both involved in trying to get justice for the 2002 Gujarat riot victims. Coming down heavily on the deteriorating situation in the country, the report says that "in 2015, religious freedom violations increased in India. 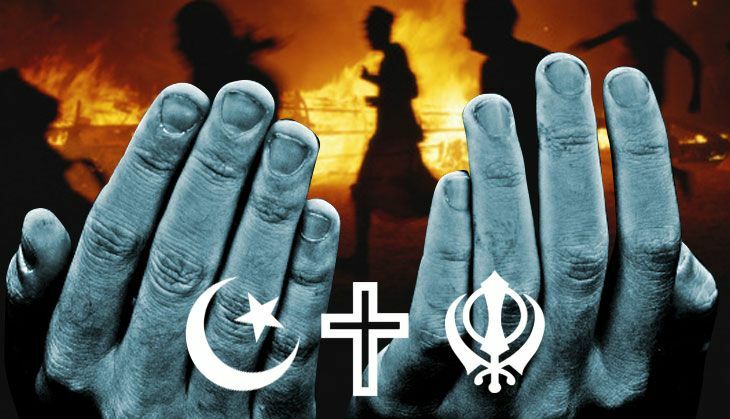 Minority communities, especially Christians, Muslims, and Sikhs experienced numerous incidents of intimidation, harassment, and violence, largely at the hands of Hindu nationalist groups". The report says that "these issues, combined with longstanding problems of police bias and judicial inadequacies, have created a pervasive climate of impunity, where religious minority communities feel increasingly insecure, with no recourse when religiously-motivated crimes occur". It mentions how 2015 saw a 17% increase in cases of communal violence. The report talks about how Muslims are frightened to report abuses "because of societal and police bias, and police intimidation by the RSS", and how Muslim community leaders and members report that mosques are monitored and young boys and men are detained regularly and indiscriminately and held without charges on the pretext of countering terrorism. The report also names BJP politicians like Yogi Adityanath and Sakshi Maharaj, and notes how they have called for laws to control the Muslim population. "Members of the BJP and RSS have stoked religious tensions by claiming that Muslim population growth is an attempt to diminish the Hindu majority. For example, high-ranking BJP parliamentarians, such as Yogi Adityanath and Sakshi Maharaj, reportedly called for laws to control the Muslim population." Since the BJP came to power, both these leaders have been at the forefront of issuing statements bordering hate speech, targeting the minorities. There have been reports suggesting that even the BJP top brass has reprimanded them for their vitriolic stance on these issues. Taking cognisance of the multiple attacks on Christians and churches, the report notes how the community is being targeted on a routine basis by Hindu nationalists, and how the police never acts, and sometimes even encourages them to move or hide their religion. The report also mentions how the BJP, including its president Amit Shah, have been speaking about a nationwide anti-conversion law, and how such laws in states are one-sided and have been creating a hostile, often violent situation for the minorities. The current findings of the USCIRF are not very different from those featured in last year's report. The 2015 report had said "since the election (Lok Sabha 2014), religious minority communities have been subject to derogatory comments by politicians linked to the ruling Bharatiya Janata Party (BJP) and numerous violent attacks and forced conversions by Hindu nationalist groups, such as Rashtriya Swayamsevak Sangh (RSS) and Vishva Hindu Parishad (VHP)." The Ministry of External Affairs, in a statement, said the USCIRF report once again failed to show a proper understanding of India, its Constitution and its society. "The government does not see the locus standi of a foreign entity like USCIRF to pronounce on the state of Indian citizens' constitutionally protected rights. We take no cognisance of their report," the statement reads. Is the US religious freedom panel's 2014-15 report on India to blame for the visa row? Govt's new BPO scheme to create 1.5 lakh jobs. Serious effort or populism?